Steve Owens enters his eighth season at the helm of the Bulldog baseball program in 2018. In seven seasons, Owens has posted a 255-141-1 record, building the Bulldogs into one of the best in the Northeast Region and one of the top mid-majors in the country. He has led the Bulldogs to three 40-win seasons, six-straight Northeast Conference Regular-Season titles and three NCAA tournaments. Entering his 27th year as a college head coach, Owens holds a career record of 842-440-2 (.657), placing him in the top 20 among active Division I coaches in career winning percentage. He also ranks in the top 30 among active head coaches in career victories after earning his 800th with a 7-3 victory over LIU Brooklyn on May 8, 2016. Even more impressive is the fact that Owens has produced 26-straight winning seasons as a skipper. Owens’ postseason accomplishments are just as extensive, as he boasts a 68-44 (.607) career record in the postseason. Over the past seven seasons, Owens has earned four NEC Coach of the Year awards (2012, ‘13, ‘14, ‘16) and ABCA Northeast Region Coach of the Year honors in 2013 and 2014. His teams have won 30 games in five of his seven seasons and have won 40 games three times. Owens’ teams have gone 152-47 (.764) in NEC play and have won six-straight regular-season crowns. In addition, 48 players have earned all-conference honors and 10 have earned All-American honors in his seven seasons at the helm. The 2017 season saw the Black and Gold win 29 games and claim their sixth-straight regular season title, the longest streak for any school in the country. Bryant took home three major NEC year-end awards and had seven named All-NEC. Owens guided the Bulldogs to their best season in program history in 2016, winning a program-record 47 games and finishing the season with the best winning percentage in the country (79.7). He led the Bulldogs to a fifth-straight NEC Regular-Season title, their third NEC Tournament title in four years and a No. 2 seed in the Charlottesville Regional, a first for an NEC school. Bryant finished the season with the best run differential in the country (+4.4) and an RPI of 35. The Bulldogs ranked in the top 25 in 12 team categories, became the first NEC team to sweep all four major awards, had a record 11 players named All-NEC, 10 more named All-New England and five earned All-American citations. In 2015, the Bulldogs won 29 games and claimed their fourth-straight regular season title, becoming the first team in league history to accomplish that feat. Bryant advanced to the NEC Championship game for the third-straight year, finishing as the runner-up. The Bulldogs featured nine All-NEC selections, the NEC Pitcher of the Year for the second-straight year and the NEC Rookie of the Year for the fourth-straight season. The Bulldogs led the NEC nearly every offensive category and finished seventh in the country in triples, 11th in slugging percentage, 12th in shutouts and 19th in scoring. The Black and Gold put together another outstanding season under the watchful eye of Owens in 2014. In addition to their second-straight 40-win season, the Bulldogs earned a No. 3 seed in the NCAA tournament for the second-straight year and finished as the top ranked team in New England. Bryant possessed one of the most balanced and dynamic teams that Owens has ever coached, ranking top 25 nationally in batting average (14th, .302), scoring (15th, 6.7), runs (19th, 386), doubles per game (20th, 1.98), doubles (22nd, 115), home runs per game (23rd, 0.67), home runs (23rd, 39), slugging percentage (9th, .436), stolen bases per game (13th, 1.71), stolen bases (7th, 99), ERA (21st, 2.84), hits allowed per nine (13th, 7.41), OBP (13th, .391), WHIP (15th, 1.17) and shutouts (7th, 12). Owens was named NEC Coach of the Year for an unprecedented third-straight year and his team took home both NEC Pitcher and Rookie of the Year honors. In 2013, Owens led his charges to an impressive 45-18-1 record that included a conference tournament championship in the school’s first year of Division I post season eligibility. Bryant advanced to the Kansas State Regional as a No. 3 seed, earning the school’s first-ever NCAA D1 win with a first round victory. They finished the season with an RPI of 42 and the nation’s 18th-highest winning percentage. The Bulldogs ranked fifth nationally in runs given up, 16th in scoring margin and 10th in pitching. Bryant set program and NEC records for overall (45) and league (27) wins in 2013 and posted a 19-game winning streak, the longest in the country. The Bulldogs also achieved their first ever national ranking at the Division I level, coming in at No. 30 in the Collegiate Baseball weekly poll. 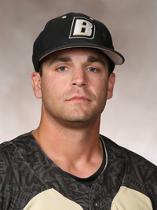 Owens didn’t miss a beat in his first two seasons at Bryant either, posting 30 wins seasons in 2011 and 2012. The Bulldogs posted 30 wins in his first season, finishing fourth in the NEC with a 19-12 record. Bryant rebounded in 2012 to post 33 wins and won its second regular-season title in three years with a 24-8 mark in the NEC. Owens and his team were rewarded for their outstanding accomplishments as they took home NEC Pitcher of the Year, Rookie of the Year and Coach of the Year honors. Prior to coming to Bryant, Owens spent 11 seasons as the head coach at Le Moyne College in Syracuse, N.Y. He led the Dolphins to 11-straight winning seasons and three NCAA tournament berths. He guided Le Moyne to back-to-back NCAA regionals at Arkansas and North Carolina State in 2003-04, and then took the Dolphins to the Texas A&M regional in 2007. Over his tenure with the Dolphins, Owens was named the MAAC Coach of the Year twice, (’04 and ’06) and was also named the ABCA/Diamond Northeast Region Coach of the Year in 2003. Owens reached an even more impressive milestone during the 2007 season as he became one of the youngest coaches in country to reach the 500-win plateau. He finished his Dolphins career with an impressive 342-217 record. Owens started his coaching career in 1992 at Division III Cortland State. Over eight seasons in the dugout, Owens led the Red Dragons to six 30-win seasons, seven NCAA regional tournaments and four trips to the Division III College World Series. He guided the 1997 and 1998 teams to third-place finishes at the national tournament, finishing a game short of a shot at a national championship. Owens went 245-82-1 in his eight seasons with Cortland St. and was named the New York Regional Coach of the Year and the State University of New York Athletic Conference (SUNYAC) Coach of the Year four times each. Outside of wins and losses, Owens’s style of player development has produced professional baseball players over the course of his career. In all, Owens has seen 44 of his former players sign professional contracts, including 15 in his first seven years at Bryant. Owens has lofted his players to new individual heights, coaching 19 All-American selections, 8 Freshman All-American picks, 32 All-MAAC selections, 48 All-NEC selections, 34 All-Region nods and 4 Academic All-Americans. A native of Sauquoit, N.Y., Owens is a 1987 graduate of St. Lawrence, where he earned a Bachelor of Science in Sport and Leisure Studies. Playing baseball and football at St. Lawrence, he was named a two-time MVP in baseball playing at both third base and shortstop. He finished his career with a .349 batting average, including .454 as a senior, and stole 73 bases in 80 attempts. In football, he led the team in rushing his junior and senior seasons, scoring 18 career TD’s, and was named offensive MVP as well as Outstanding Senior Athlete. He has been inducted into the St. Lawrence Athletic Hall of Fame (Fall 2010) and the Cortland State Hall of Fame (Fall 2017). Drafted by the Chicago Cubs, Owens spent two seasons with the organization, including stints in Geneva (New York-Penn League Champions) and with the Charleston (W.Va.) Cubs in the South Atlantic League. Following his playing days, Owens was a graduate assistant coach in football and baseball at Ithaca College where he received a Master of Science degree in 1991. Owens, 52, and his wife, Catharine, have three children, Jack, Sam and Jane. Kyle Pettoruto just completed his fourth season as a member of Steve Owens’ staff in 2017. Pettoruto, who is in charge of the outfielders, baserunning and hitting, has helped the Black and Gold win four-straight Northeast Conference Regular-Season titles and a pair of NEC Tournament titles. Pettoruto has helped produce 27 All-NEC selections, 32 All-New England selections, four ABCA All-Northeast selections, one NEC and New England Player of the Year, three NEC Rookies of the Year, one New England Rookie of the Year and three Freshman All-Americans in just four short seasons. Bryant has led the NEC in nearly every major offensive category during his tenure and the Black and Gold have been shutout by a league opponent just two times since he joined the staff. Pettoruto has helped Bryant to become one of the most dynamic offenses in the country. He has helped the Bulldogs finish in the top 20 in the country in scoring and slugging percentage in three of his four seasons, and the Black and Gold have finished in the top 25 in a host of other categories over the past four years. In 2014, the Bulldogs ranked seventh in the country in stolen bases (99) and they also finished 14th in batting average (.302), 15th in scoring (6.7), 19th in runs (386), 20th in doubles per game (1.98), 23rd in home runs per game (0.67), ninth in slugging (.436) and 13th in OBP (.391). The trend continued in 2015 as Bryant finished in the top 25 in the country in doubles (25th, 121), doubles per game (12th, 2.24), scoring (19th, 6.9), slugging percentage (11th, .462), triples (7th, 25) and triples per game (7th, .46). In 2016, Pettoruto oversaw one of the best offenses in program history. The Bulldogs set program records for runs in a season and RBI in a season, while also setting DI program records for slugging percentage, home runs, hits and batting average. Bryant finished 1st in the country in sac flies (41), 5th in OBP (.414), 9th in scoring (7.9), 10th in batting average (.318), 12th in slugging (.482), 13th in runs (465), 18th in doubles per game (2.19) and 20th in doubles (129). The 2017 season saw Pettoruto work with one of the youngest rosters in DI program history. Under his tutelage, Jimmy Titus put together one of the best rookie seasons in program history on his way to NEC Rookie of the Year honors and Freshman All-America honors. Titus hit a freshman program record eight home runs and became just the second rookie in DI program history to have 40+ RBI and 40+ runs scored. In 2016, the Bulldogs earned a league-record 11 all-conference selections and 10 All-New England selections. Robby Rinn was named the NEC and New England Player of the Year and, along with Matt Albanese, earned All-American honors at the end of the season. Both players were drafted following the year. Under Pettoruto’s guidance, Albanese didn’t commit an error in center over his final two seasons and finished his career with 11 outfield assists. Pettoruto also watched as Nick Angelini earned NEC Rookie of the Year honors and Freshman All-America honors. In 2015, Bryant had four players named First Team All-NEC and a fifth garnered second team honors. Pettoruto guided First Team All-NEC selection Jordan Mountford and second team pick Matt Albanese. In 2014, the Black and Gold featured the NEC Rookie of the Year in Albanese, five First Team All-NEC selections -- Rinn, John Mullen, Carl Anderson, Buck McCarthy, Dan St. George -- and two Second Team All-NECers -- Albanese, Tom Gavitt. 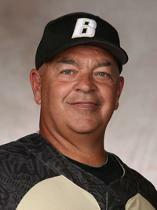 Anderson, one of the top players in Bryant’s DI history, thrived under Pettoruto’s instruction, stealing a Division I-record 31 bases. He became the first player in program history to steal 30 or more bases in a season since 1998. Albanese enjoyed a stellar rookie season, scoring a freshman-record 53 runs while hitting .322 with 16 doubles and 36 RBI. He went on to earn both NCBWA and Lousiville Slugger Freshman All-American honors. Prior to Bryant, Pettoruto worked as an assistant coach with the North Shore Navigators in the Futures Collegiate Baseball League in the summer of the 2012, helping with the hitters and outfielders. Following the summer, Pettoruto was hired as assistant coach at Merrimack. He worked with the outfielders and the hitters, helping the Warriors set a school record for wins in the spring of 2013. Pettoruto has also worked as an instructor at several high profile camps including the Mike Martin Camp at Florida State and the Vanderbilt University High School Prospect Camp. Pettoruto was a four-year letterwinner at the University of New Haven and helped the Chargers earn a spot in the 2010 NCAA tournament. He started in 100 career games at New Haven and posted his best season in 2010. Pettoruto finished fourth in the Northeast-10 with 14 doubles and led his team with a .378 slugging percentage. He also played for the Joplin Outlaws of the MINK League and the Rome Thunderbolts during the summer. A native of Andover, Mass., Pettoruto earned a degree in communication from New Haven in the fall of 2012. A Rhode Island native and the holder of a 385-243-1 record as a college coach, Jay Grenier begins his fifth season as a volunteer assistant with the Bulldogs in 2017-18. Grenier began is coaching career as an assistant at Rhode Island College in 1981 and landed his first head coaching job in 1993 at the Community College of Rhode Island. With the Knights, he was named the National Junior College Athletic Association (NJCAA) Coach of the Year in 1994 and 1996 and the Louisville Slugger Region 21 Coach of the Year in 1993, 1994 and 1996. Following CCRI, Grenier took over as the head coach at his alma mater, RIC, in 2001. He led the Anchormen for nine seasons, turning the program around. He led RIC to its first Little East Conference championship and the school’s first NCAA appearance in 25 years in 2005. Grenier’s final two teams, in 2008 and 2009, set a program record with 24 victories. Grenier has served as an assistant at Wheaton (MA) College and Barry University and is currently in his seventh season as the bench coach for the Chatham Anglers in the prestigious Cape Cod Baseball League. Brendan Monaghan wrapped up his first season with the Bulldogs in 2016-17. He serves as the pitching coach and recruiting coordinator. Monaghan helped the Black and Gold win their sixth-straight Northeast Conference Regular-Season title in his first season. Monaghan took over a pitching staff that didn't feature a single senior and built it into one of the top staffs in the NEC. The Bulldogs finished second in the NEC in ERA and led the league in strikeouts in his first season in 2017. Under his tutelage, Steve Theetge was named the NEC Pitcher of the Year. In addition, Theetge was named First Team All-NEC, while James Karinchak and Nathan Wrighter were named Second Team All-NEC. Monaghan came to Smithfield after spending the 2015-16 season as the pitching coach at George Washington University. He also spent two years as the pitching coach/recruiting coordinator at UMass Lowell and three years as a volunteer assistant at his alma mater, St. John's. "I am very excited that Brendan will be joining our coaching staff to lead our recruiting efforts and handle the teaching and development of our pitchers and catchers," head coach Steve Owens said. "He is a very talented and hard-working coach who does his job with a professional and mature approach." A native of Wayne, N.J., Monaghan coordinated all aspects of the pitching staff and also oversaw the defensive training of the catchers at George Washington. Under his watch, GW closer Eddie Muhl was named to the ABCA All-East Region Second Team after going 3-1 with 11 saves and a 1.76 ERA in 26 appearances. Monaghan played a key role in UMass Lowell's transition from Division II to Division I, spearheading the recruiting plan, developing practice plans and opponent scouting. He helped the River Hawks win 37 games in his two seasons, including 20 in their first two years as members of the America East. Under his tutelage, Andrew Ryan was named Second Team All-American East and a Louisville Slugger Freshman All-American. In three seasons at St. John's, Monaghan was part of a coaching staff that led the Red Storm to a 2012 Big East Regular Season and Tournament title and two NCAA appearances (2011, 2012). The 2012 team went on to win the Chapel Hill Regional and advance to the NCAA Super Regionals for the first time in program history. "I want to thank Coach Owens and Mr. Smith for providing me an opportunity to be a part of the Bryant Bulldog Family," Monaghan said. "The baseball program has been one of the top programs of consistency and winning in recent years and I am excited to be able to join the staff. Coach Owens, Ryan [Fecteau], Kyle [Pettoruto], and Jay [Grenier] have worked relentlessly on getting the program to where it is and I can't wait to help contribute. I am anxious to get started working with the student athletes who I know are of top caliber." "I also want to thank Coach Ritchie and GW for the opportunity I was provided in D.C. and wish nothing but the best for the Colonial baseball program," Monaghan added. A 2007 graduate of St. John's, Monaghan helped the Red Storm to three NCAA Tournament appearances and two Big East Regular-Season championships. He captained the team and was an All-Big East First Team selection as a catcher. Monaghan hit .307 with 20 doubles and 59 RBIs in 125 career games with the Red Storm. After graduation, Monaghan had a four-year professional career, including three years within the Baltimore Orioles organization. He played for the Bluefield Orioles (Rookie, Appalachian League) and the Delmarva Shorebirds (Class A, South Atlantic League). Monaghan also spent a season playing for the Long Island Ducks in the independent Atlantic League and was named an All-Star. "I am 100% confident that Brendan is a tremendous fit for our players and that his addition will help keep us performing at a high level going forward," Owens said. "Brendan is young, talented, multi-dimensional and is an up-and-comer in this business. He's going to be one of the best pitching coaches in the country that you will see. Brendan is a character-driven person who is going to take guys to another level. He's going to do really good things." "First off, Brendan was an outstanding player, a self-made player, who really worked hard and worked his way into his lineup as a player. His strength was that he was very intelligent and always looking to get better and that attitude is typical of what he has developed as a coach. He came into our program with a desire to be an outstanding coach, he had a thirst for learning, and he learned the craft of catching and pitching. He's a bright and intelligent young man and has developed into an outstanding pitching coach and a highly sought after pitching coach. It's no surprise that Steve has identified him as a top young coach and he is only going to get better." "Brendan is a fast-rising young coach who is one of the most organized and driven coaches that I've ever seen. He helped us tremendously in our transition to Division I and without him we wouldn't be where we are today. He's knowledgeable, he's the most thorough coach I've ever been around and I think he'll be a big-time guy at some point. He's going to bring an energy, a passion and a work ethic to the Bryant program that hasn't been seen very often in this day and age. His legacy has been left here at UMass Lowell with how he helped us in our first two years of DI baseball." "Brendan is one of the up-and-coming superstars in our profession. He can coach all aspects of the game and really knows how to build a rapport and a work ethic with his pitchers. Anyone that has been around him knows the impact he has becasue of his professionalism and daily energy to excel."